When Athletic Director Kevin Clark began speaking and reality struck, Berg’s body began to tremble. He had seen this before. After his previous school, Millersville, cut its track program in 2012, Berg found a new home at Temple. He competed during the 2012–13 season, earning the Owls five points during the Atlantic 10 Conference Championship with his hammer throw. Now, with the elimination of the men’s track & field team – Berg must transfer again if he wishes to continue competing at the collegiate level. Berg said he will transfer to Penn State after the spring semester. Berg continues to practice with Temple, although he redshirted the season to give himself an extra year of eligibility. The men’s gymnastics team has won two of the past three Eastern College Athletic Conference titles. The squad has led the athletic department in GPA during much of the past three years. Fred Turoff looked down at a vacuum cleaner. It sat next to some boxes and a pair of crutches, in a room off the gymnastics team’s training gym in Pearson Hall. The gray two-toned wet/dry vacuum was open and dirty. It had seen better days – but it was still functional. The men’s gymnastics gym doesn’t have the modern look of Edberg-Olsen Hall or the recently renovated areas of McGonigle Hall, but the team that has won 18 of the last 39 Eastern College Athletic Conference championships still practices 20 hours a week in their gym. Including the 2013-14 seasons, Turoff and his crew counterpart, Gavin White, have been the head coaches of their respective programs for a combined 72 years. Both are members of the Temple Athletics Hall of Fame. Last December, neither was given any advance notice about their teams’ impending elimination. They are both signed to one-year contracts that don’t include severance packages. 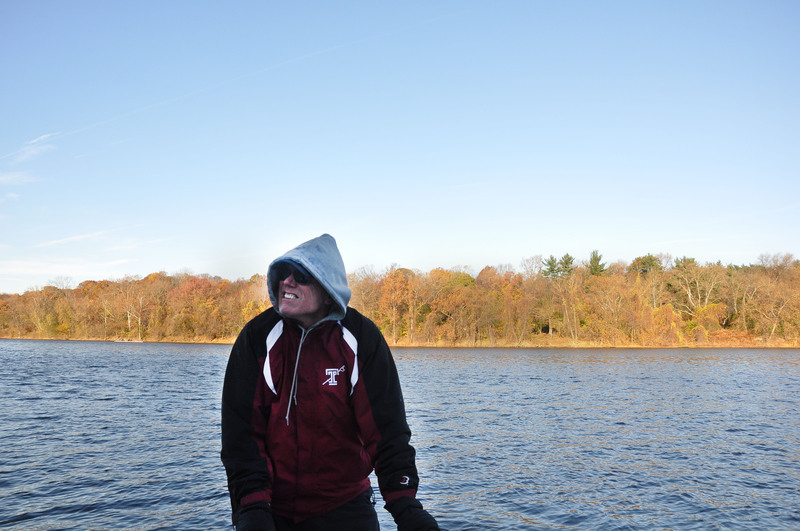 Thirty-fourth-year crew coach Gavin White looks upward during an early morning fall practice on the Schuylkill. White’s father is a former athletic director of the university. 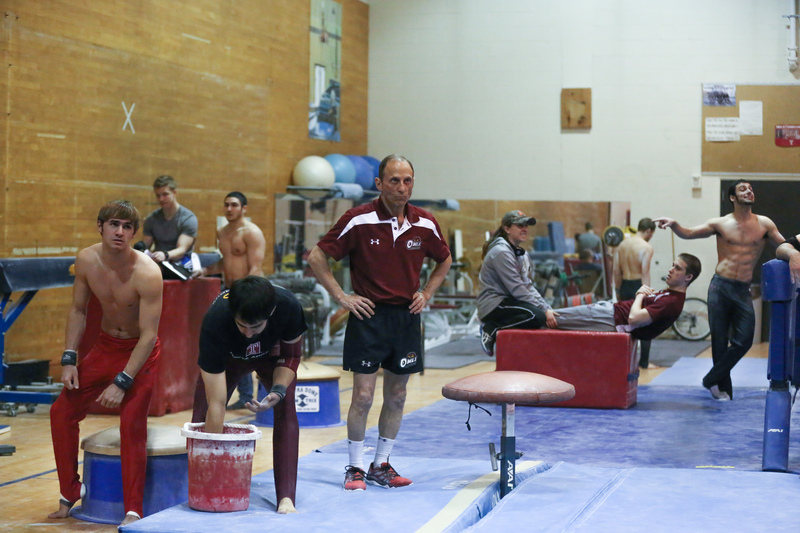 In April, Campus Recreation Director Steve Young said the men’s gymnastics team will continue as a club sport – with Turoff as its coach – after trustee Lewis Katz offered a $70,000 matching grant, given that Turoff and his team are able to fundraise the money each year. After the crew and rowing teams were reinstated by the Board of Trustees in February, White’s job is no longer in jeopardy. But the longtime coach, who has battled Parkinson’s disease for more than a decade, has indicated that he could step down anyway. White said in a November 2013 interview with The Temple News that he could coach 10 more years. He has since backed off that stance. The rowing coach has always been an athlete, whether it be with soccer, basketball or rowing. 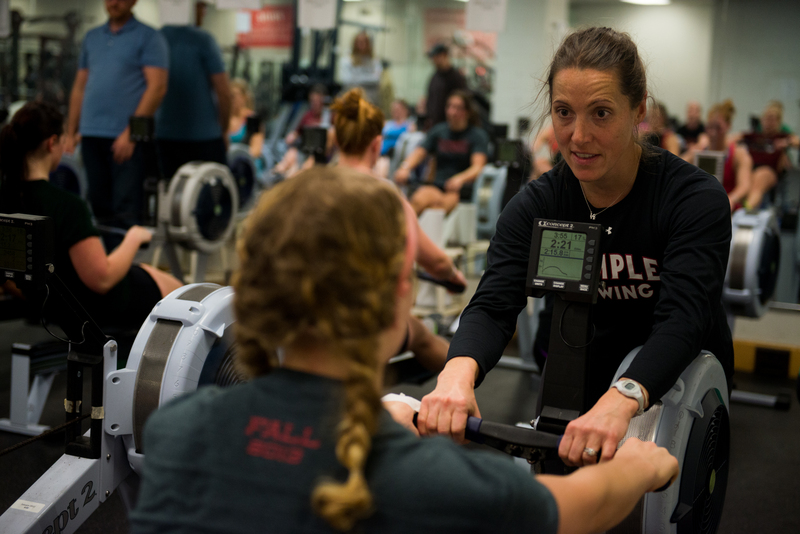 Second-year women’s rowing coach Rebecca Grzybwoski (right) and her team used the motto of “last one, fast one,” before the university reinstated the team in February. After the crew and rowing programs were reinstated in February, reversing the university’s December decision to cut the teams, Grzybowski and longtime crew coach Gavin White were named the 2013 Schuylkill Navy Coaches of the Year. Now, Grzybowski has the opportunity to continue her head coaching career past her second season this year. Grzybowski dedicated seven years of her life to training full-time, twice a day, six days a week – and sometimes on Sunday – at the Vesper Boat Club on Boathouse Row, while working a nine-to-five job in commercial real estate. After the initial announcement of the cuts, Grzybowski said she was keeping her team focused in preparation for the spring season – using a battle cry of, “Last one, fast one” in a year that the coach said would be more about her student-athletes racing for one another than for the university. Joe DiPietro was shooting hoops on a warm March afternoon when he saw some girls from his former high school, Camden Catholic. DiPietro, then enrolled at Gloucester County College, walked over to chat and found them disheartened. Their junior varsity softball team was about to get cut, the girls told him, because they had no coach. That was 37 years ago. DiPietro has been coaching softball ever since. 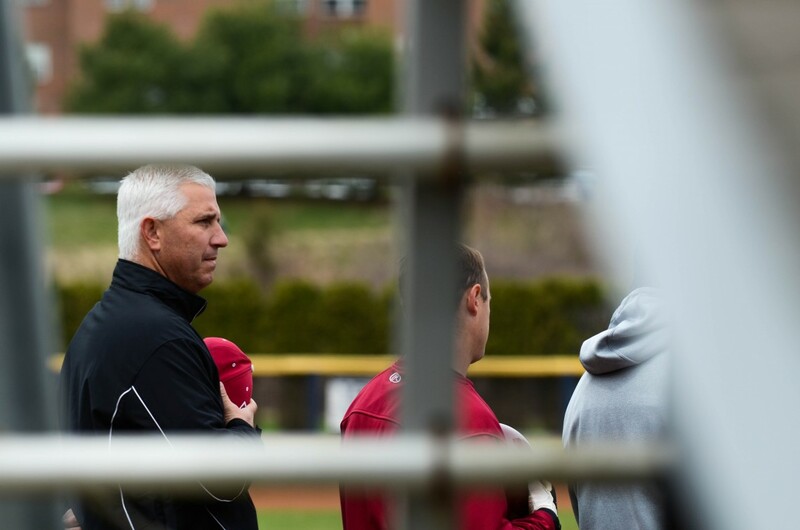 Softball coach Joe DiPietro said after the cuts were announced last December that he may have to collect unemployment for the first time in his life, after his team is eliminated in July. He spent 25 years at Camden Catholic, winning three straight championships and finishing with a record of 274–98. From there, DiPietro took a part-time coaching job at La Salle University, before becoming Temple’s head coach in July 2008. The story is funny, DiPietro said, for a man whose first love was basketball. And it all started with a softball team about to get cut. Now, DiPietro’s own team has been cut. And after the 2014 season, DiPietro will find himself without a coaching job. 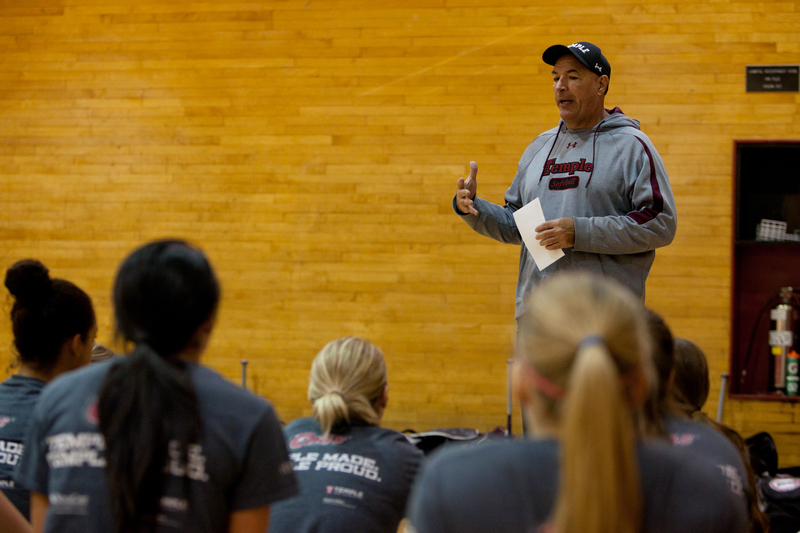 Still, he said he’s proud of what he’s accomplished as a softball coach, especially at Temple. The softball team was the only program at Temple to have increased its win total every season for the past five years, before this season. DiPietro built up the Temple program, turning it into a contender within a few years. Last season, the team set a program record for wins and led the country with 94 home runs. Now, though, he has to bid goodbye to Temple, and DiPietro said that while he’s frustrated with the athletic department, there are still plenty of things he will miss. Baseball coach Ryan Wheeler (left) dealt with the loss of six of his best players, who transferred after the December 2013 announcement of the cuts. In a one-on-one interview session, Ryan Wheeler has never been one to skew an answer. The third-year Temple baseball coach isn’t afraid to shoot from the hip when paged for a non-masqueraded line. Staying true to character, his response regarding how Temple transfers and twins Eric and Patrick Peterson would fare among a star-studded North Carolina State University pitching staff oozed nothing but the pure honesty of a baseball coach who has had a rather rough time of it since his team was marked for the chopping block last December. “Do you want me to be honest?” Wheeler said. The Peterson twins are two of nine players who have jumped ship to other schools amid news that the baseball program is one of seven sports being cut from the athletic department, effective July 1. Juniors Matt Snyder (Kentucky), Adam Dian (Pittsburgh) and Eric Ferguson (Hofstra) transferred during the holiday break, mere weeks after the announcement. Junior Nick Lustrino, one of the team’s top regulars for the past two seasons, left the team as well. Before the cuts, Wheeler, 42, thought the direction of the program was going in a positive direction. “I felt like we were doing a lot of great things, which is why the decision on [Dec. 6] came as a surprise,” Wheeler added. With three young kids at home – two boys and one girl – moving to a different city isn’t as easy as it was before. Wheeler said he is lucky to have a family that is willing to do so, however. For this baseball lifer, he just wants to keep doing what he knows and loves: coaching baseball.